Kellis shortstop Jonny Ornelas ended a flurry of recruiting activity by giving a verbal commitment to the University Of Tennessee yesterday. Ornelas has been getting a ton of attention after a stellar junior season where he hit .355 with 4 homers and eight doubles and led the Cugars to a 5A state championship. 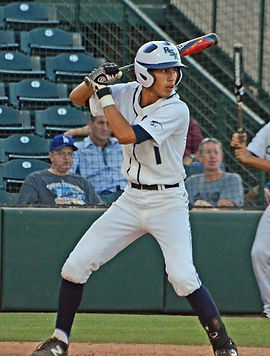 Ornelas was a member of the Arizona Junior Sunbelt Team, where he was named to the All Tournament Team. He was also a member of the Reds Area Code Team in August. Congrats to Jonny and family and to new Vol Coach Tony Vitello and staff for locking up a big time player.